Melbourne Cup – The race that stops a nation. It was a Tuesday morning 1964 and mum was making sandwiches for the race lunch when I decided to pop into the world. 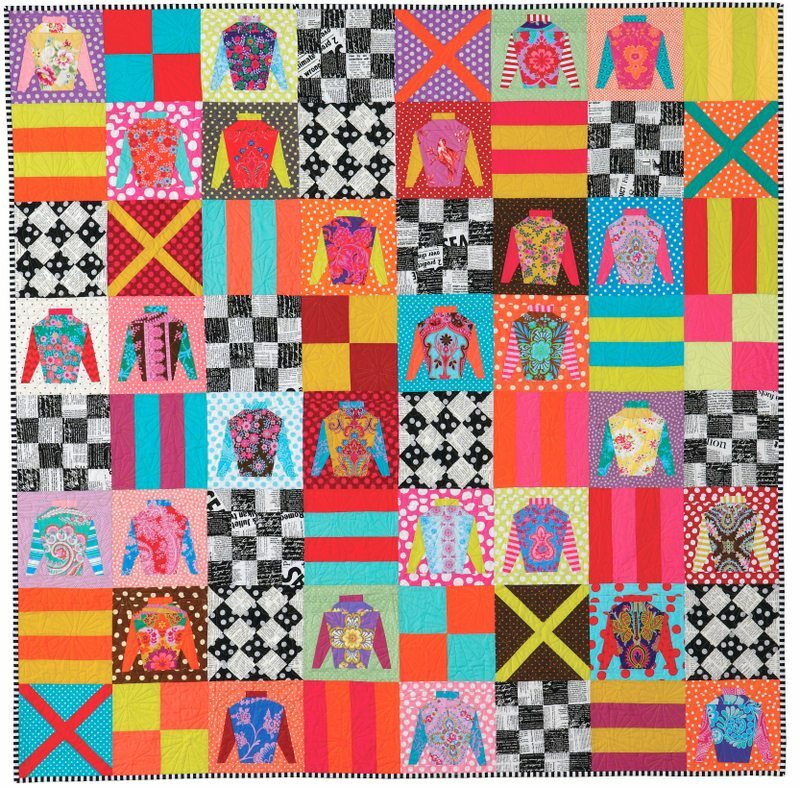 Ladies Day at the Races is a colourful quilt design based on jockey’s silks and the fashions on the field. Many aussies will be getting together at work or home, dressing up in our best and dusting off the fascinators to watch the race and enjoy good food and the company of our friends. 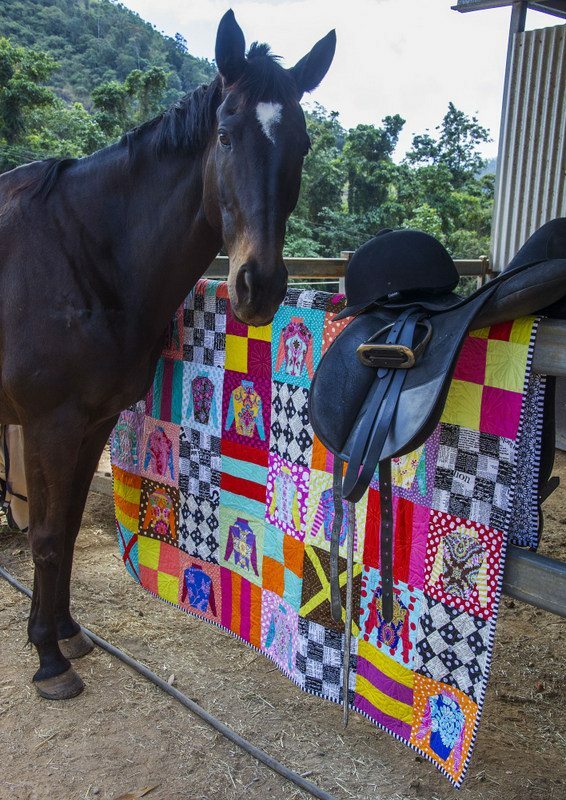 Ladies Day at the Races pattern can be found in the Desert to Sea, 10 quilts from Australian Designers. I was born on Melbourne Cup Day 1963! Happy birthday to you… wishing you a year of sweet surprises! Happy Birthday Jane! What a well dressed bunch of jockeys they would be in those silks. I’m thinking the lady jockey who won yesterday would like them though! Thanks Sue. The winning jockey would love them.